Make some crazy bunny ears! 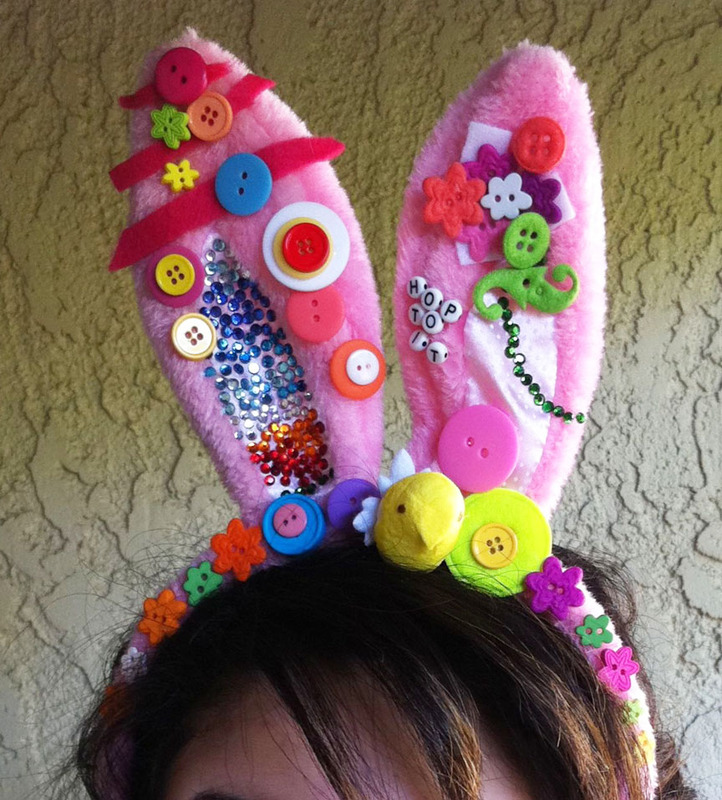 It’s almost Easter! 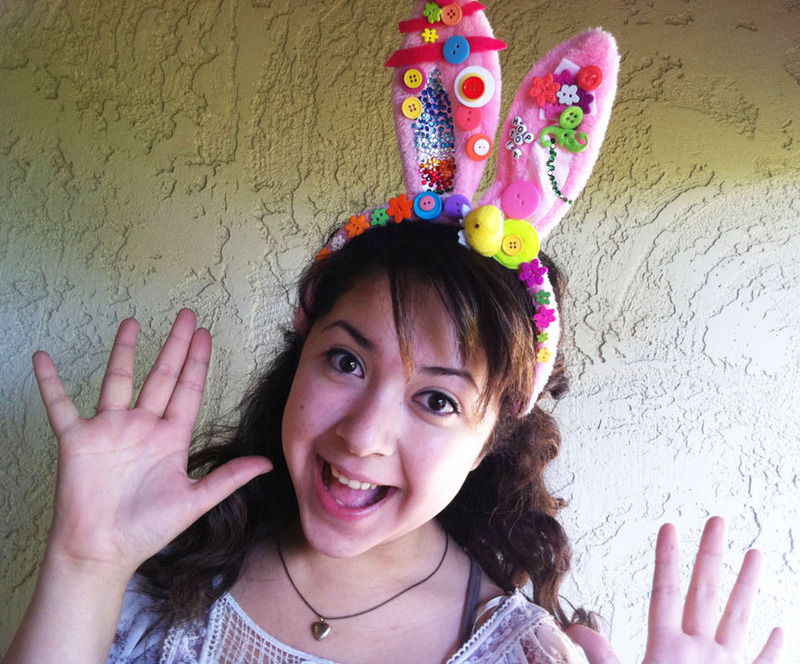 I made some funky bunny ears to wear to school on Friday to celebrate! 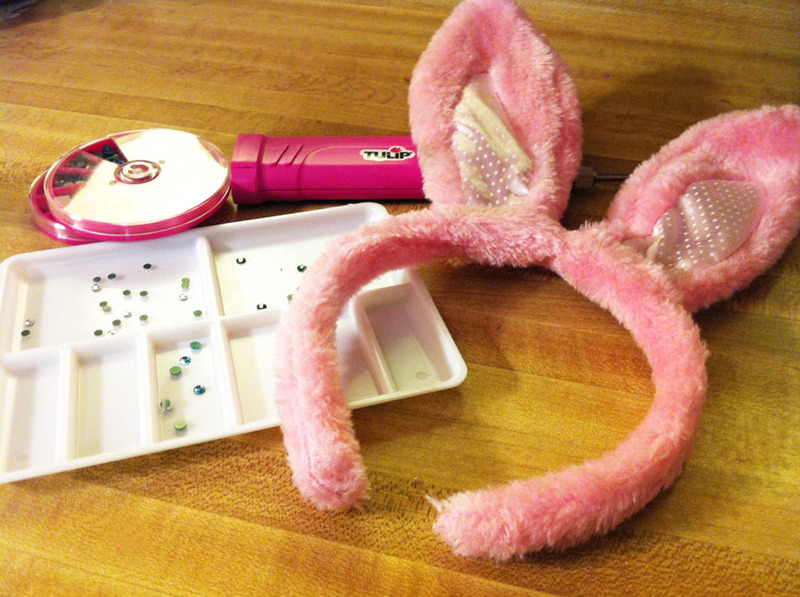 I saw these ears at Target in the dollar area and bought several to decorate! At first I was just going to use the Tulip Glam It up Crystals. I wanted to cover the entire front of the ears with rainbow colors. 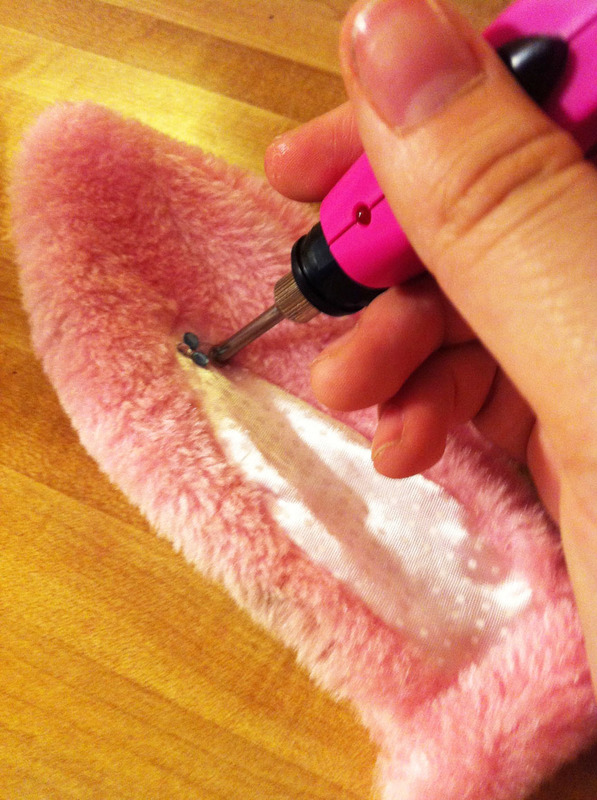 One problem – it takes FOREVER to glue on that many crystals. It took me an hour to cover the white silk part (I was also watching TV), and then I decided to vary from my idea and glue colorful thingies all over. 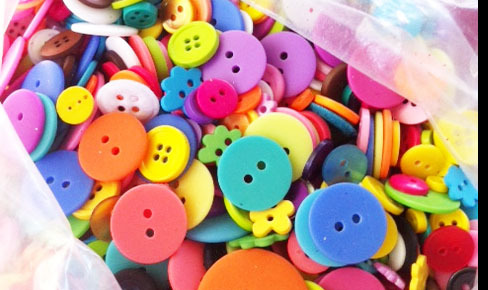 I used Aleene’s® Clear Gel Tacky Glue™ to add felt, buttons, letter beads and more.